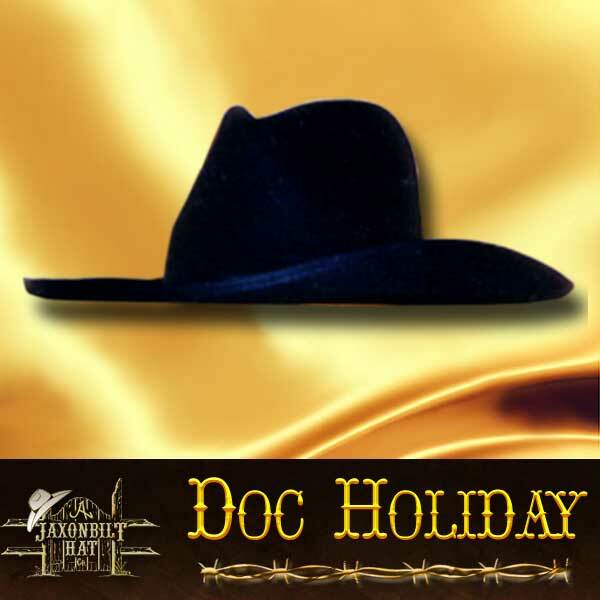 If you want to step into Tombstone you might as well take a hard look at the Doc Holiday. A great movie favorite. The Doc Holiday represents one of the best hats from the movie Tombstone. The style fits the Doc Holiday character to a “T”. 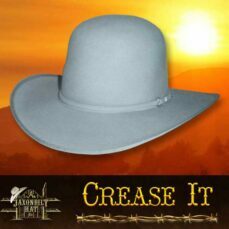 Although the bound edge is an option, it is one aspect of the hat that helps set it apart. 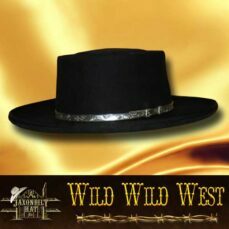 The brim, rolled over a bit more on the left side fits the left hand quick draw of Doc Holiday. We don’t think you will find a better replica of the Doc Holiday. Truly a classic. Call in today, ask us about a FREE conformer kit.